Serious pollution incidents have often resulted from casualties in which the ship became a total loss, or was so seriously damaged that her value was insufficient to satisfy the owner’s liabilities for pollution. If a vessel involved in such an incident is owned by a one-ship company, the victims of pollution could face difficulties in enforcing their claims in the absence of financial security. International laws therefore require shipowners to maintain insurance or other financial security to cover their prospective liability for pollution. This must be in an amount at least equal to their limit of liability for claims. Ships must carry certificates on board which attest that the required financial security is in place. Claimants are entitled to bring proceedings directly against the insurer or other guarantor named in the certificate. In practice these financial requirements are normally met by P&I insurance, either with one of the Clubs or with other insurers approved by the vessel’s flag state administration. The first compulsory insurance regime of this kind was introduced by the Civil Liability Convention 1969 in respect of oil pollution from tankers, and this was maintained in CLC 92. 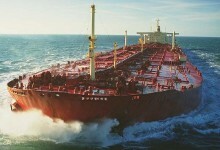 Similar regimes now apply to bunker oil pollution (under the Bunkers Convention 2001), to wreck removal (under the Nairobi Convention 2007), and to passenger claims (under the Athens Protocol 2002). The Hazardous and Noxious Substances Convention 1996 contains similar requirements but is not yet in force. In practice the compulsory insurance regime in CLC operated for many years with few difficulties. However in more recent times various issues have come to the fore with the advent of other conventions extending similar requirements to a much larger number of ships. Some of these issues relate to Blue Cards and certification, and some to direct actions against insurers. In the United States financial security is required by federal legislation governing liability for pollution by oil or other hazardous and noxious substances. The US Oil Pollution Act 1990 and CERCLA 1980 require ships to carry Certificates of Financial Responsibility (COFRs) issued by the US Coast Guard to attest that appropriate security is in place. When OPA-90 was enacted, P&I Clubs in the International Group decided that they were not willing to act as guarantors accepting direct liability for claims under the new legislation. Other commercial entities were then established, in a number of cases in Bermuda, specifically to provide this service to shipowners under ‘COFR facility agreements’ and similar contracts. Most of these require the owner to provide counter security in various forms including transfer of rights against the P&I insurer.